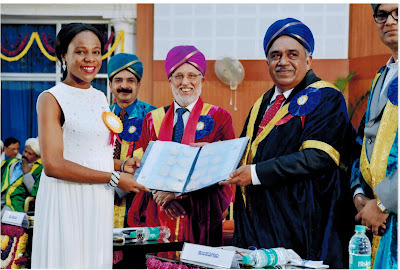 "ICCR takes pride in having extended scholarship to Ms. Emelife Stella Chinelo from Nigeria who recd a record 20 Gold Medals & 5 cash awards at the 99th Convo of @MysoreVarsity for her outstanding performance in M. Sc. We wish her the best" the organization announced on its official page on Friday. "I devoted most of my time towards studies. I was either in the classroom or library. The reason why I chose India, especially the UoM, for higher studies is because of its scope for academic excellence,” she said.